Every business has its own unique requirements and processes that others may not need. 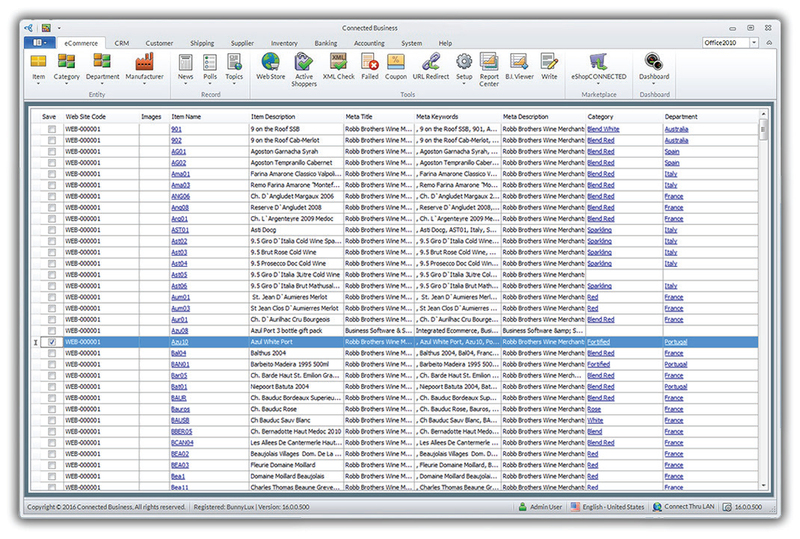 Add-ins for Connected Business allows for our users to do even more and target their business' special needs. We have developer partners that cater for creating specific features to maximize the power of Connected Business' integrated solution. The Connected Business Telephone Integration Package allows customers to enhance their experience of Connected Business and also to improve their customers experience. The telephone integrates with the Connected Business database of phone numbers and will display the customer’s name and details when they phone in by poppingan interactive information screen. This allows staff to know who they are talking to and account information without a long Iist of qualifying questions. The ability to ring a customer/supplier with a click also reduces errors and increases staff performance. CaII tracking and analysis can also be achieved using the software. Know immediately who's calling when you pickup the phone,outstandingbalances,etc. Review all your calls on one screen. Sort by Date, Customer, Call Direction,etc. The Connected Business MRP Package allows customers who use Connected Business to produce Works Orders and manage the building of products from the Sales Order, through Assemblies,Sub-Assemblies, Items, Labor, Completion and Dispatch. Search Engine Optimise (SEO) your Website and make sure potential customers come to your eCommerce Site for your products. The most important part of an eCommerce system is the ability for customers to find your site and the right page. Expensive ways to ensure this are Pay Per Click (PPC} or through online advertising, the inexpensive and best way is to ensure good Search Engine Optimisation SEO. Every page withinyour website in Connected Business has the ability to contain parts of the SEO alograthim including Page Title,Keywords and Page Description. Enteringthis into the correct fields could potentially take days or even weeks. 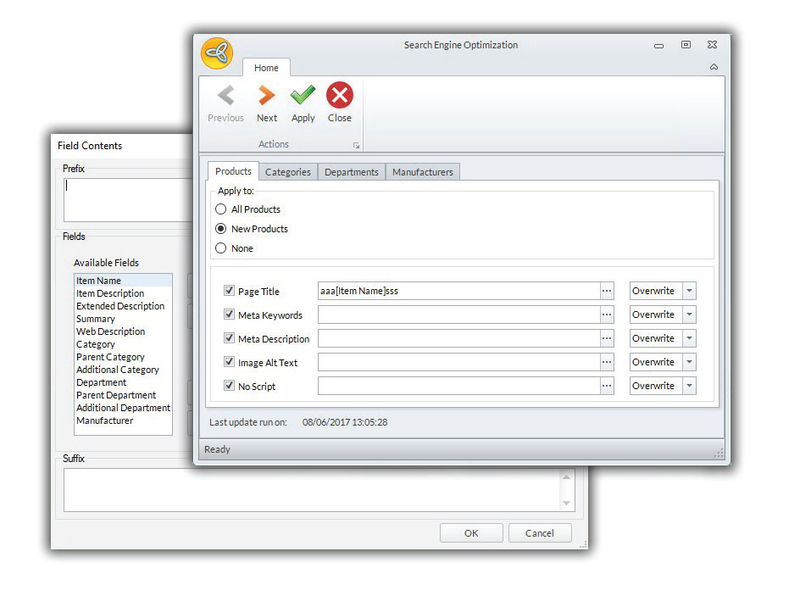 The new Automatic SEQ toolintelliSEO actually populates allof these sections in minutes by takingthe information from the Item descriptions,Categories,Manufacturers etc to help build the overall Optimisation.It can be run at any time should a product description change or a new product is added. The SMS plugin can be used with many gateways and can be easily amended to include any other API's to send SMS messages to customers, contacts, leads, prospects and suppliers. 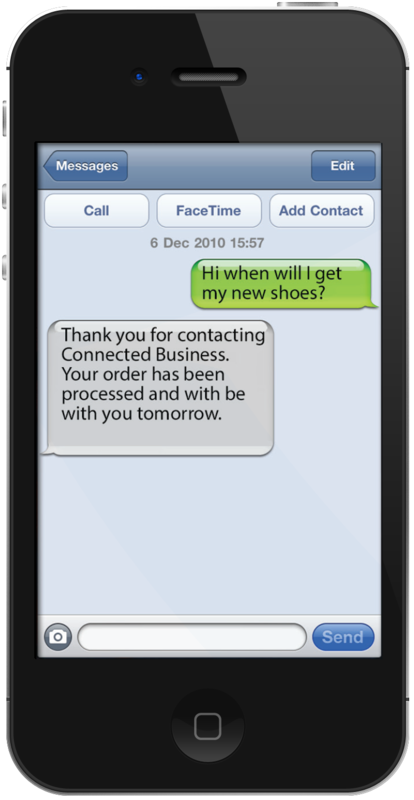 We can create messages that can include information from views in Connected Business like Customer Balance, Address,Telephone Number, Receipt Amount and Transaction Date etc. Messages can be sent in bulk or individually depending on selection. For example, send a Thank You to everyone who paid their balance today who has a mobile number. Specific requirements can also be included by our team of programmers if required. Send messages out from our target lists. Keep track of all messages sent to all the relevant contacts. Send SMS over the internet so no hardware is required. Returned texts can be stored in a file so they can be responded to as required. 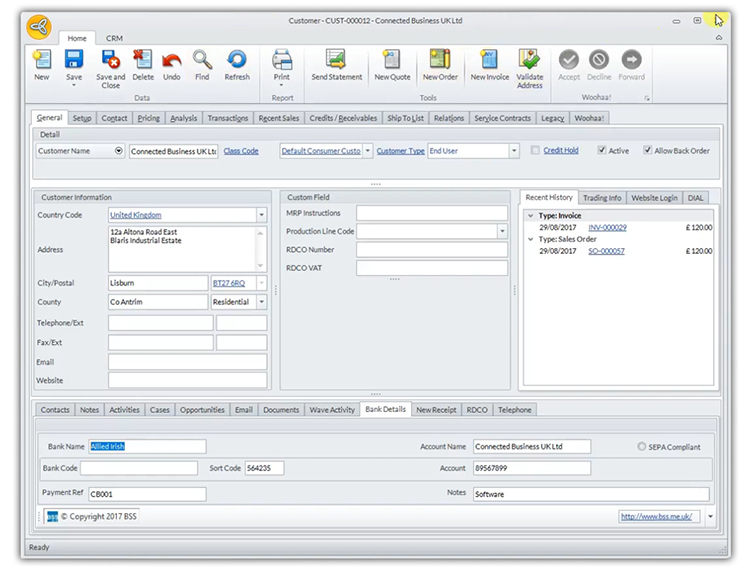 The Trade Counter Plugin for Connected Business is a robust smart integration front end EPOS best suited to businesses that are supplying products to the trade and where discretion is allowed to the sales assistants to view cost,amend margin by amounts or percentage,and change inclusive of Vat prices. 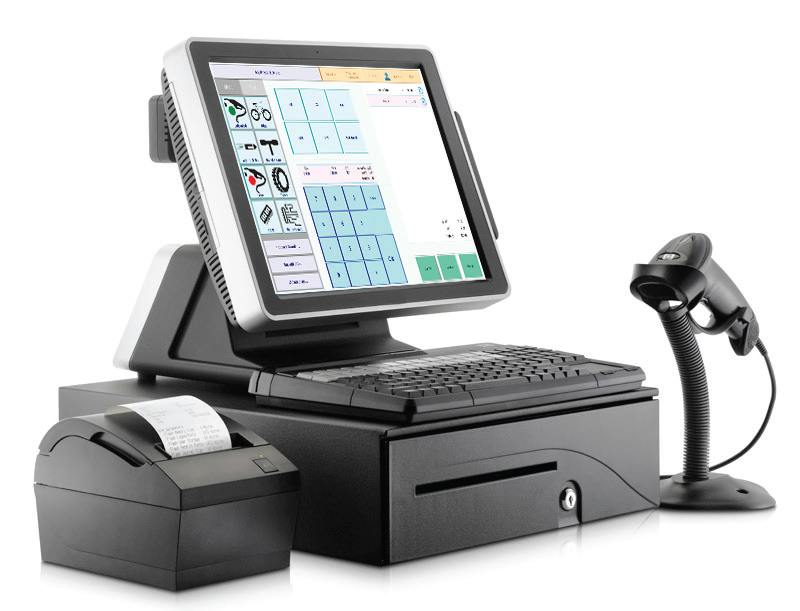 It has been used by Building Suppliers, Tyre Companies etc for their EPOS Solution. Save yourself hours of time and the embarrassment of customers telling you about things that are missing, or what cannot be found on your ecommerce site. Reduce the likelihood of missing sales because of lack of care. Product Checker is designed to make missing information easier to spot and correct, all from one screen with ability to Filter, Sort and Edit. It is very easy for busy individuals to miss vital information on a product, category or images etc. Product Checker shows all of the products in one screen with all of the relevant information. It allows one click access straight into the products to make edits or additions. The Batch Receipts / DD Plugin allows customers to program repetitive customer payments. It caters for either run payments or direct debit payments, for set amounts or the due amounts according to customer credit terms. The plugin will post the receipts which can be varied and may also create an EDI file for banks to be uploaded. Unlimited templates can be created to cater for Runs, Weekly DD's, and Monthly DD's etc. 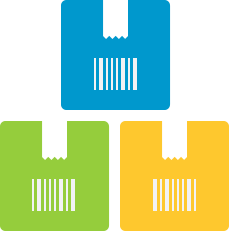 We automate the process of being able to track all your serial inventory from purchasing to sales so you can avoid costly mistake while doing returns, refunds or warranty of the product. 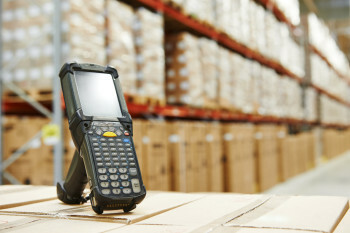 Quickly search and locate based on serial number, you can additional search on inventory item code to locate an item. Recieve serialized inventory and update your stock during purchase reciept process. Selling made easy, it let's you pick and choose specific serialized inventory item during allocation. Serial number history is kept track of when the item was purchased, to whom it was sold and what products are in stock, a clear way to identify and track all your inventory. Track all emails, phone calls, notes, tasks and activities with customers and vendors all across the application. Copyright © Connected Business . All Rights Reserved.